Most of my days end with my head hitting the pillow, and sleep hitting me within 27 seconds. It’s amazing that, after a day of activity and noise, all it takes is the basic luxury of a fluffy pillow to send me off to dreamland. Since having children I have learned to never underestimate the value of the simple things in life. 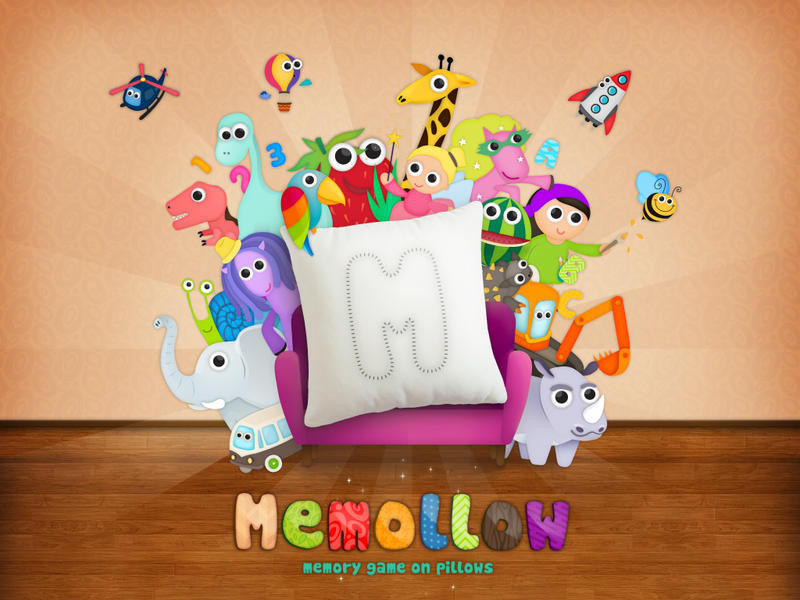 Memollow has taken that basic concept and adapted it into a memo-based childrens’ app that uses whimsical and familiar objects to reinforce memory skills. 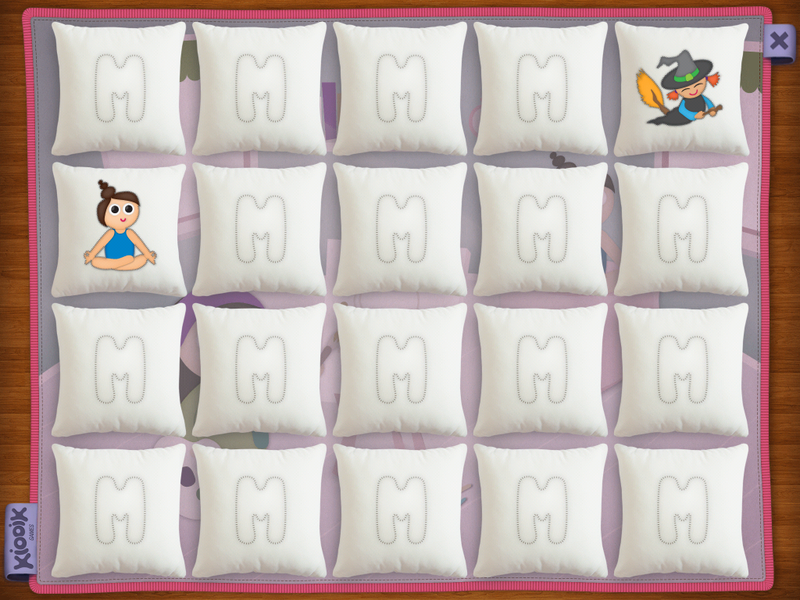 Instead of sharp-edged “cards”, the pictures are on the cool side of the pillow, softening the overall aesthetic of the game. My 5-year-old wasn’t nearly as interested in this game as my 2-year-old was, but that may be due to his current love of apps that are loud and action-packed (kind of like he is). My youngest, however, played this for longer than I have seen her play any memory-style game designed for her age group. That’s a telling commentary on the execution of this app as it’s common knowledge that toddlers have the attention span of a cricket. For a limited this app is free, so it’s worth a look-see if you appreciate the simpler apps without some of the overstimulation that can be found in some children’s apps. 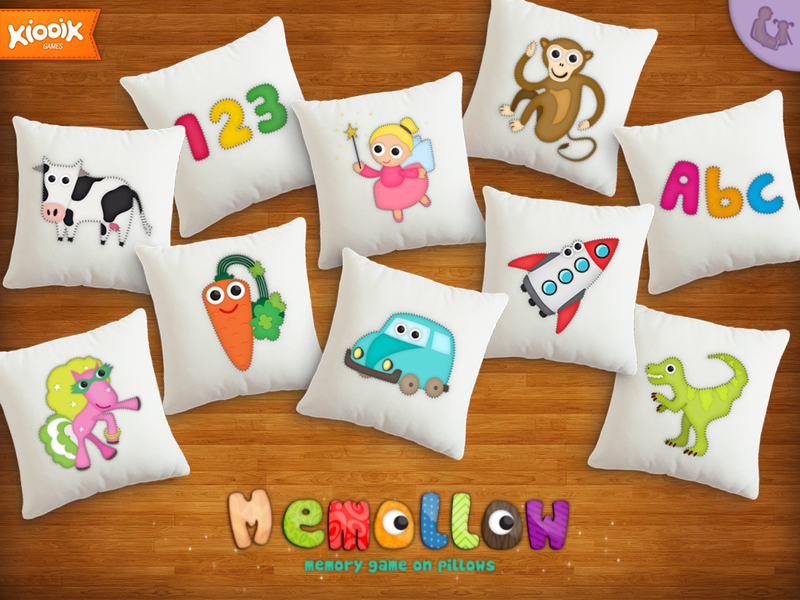 It’s almost like Memollow is the nice, fluffy pillow at the end of the day – comforting, familiar, and …. Sorry, I fell asleep thinking about pillows. – 10 popular themes including: cars, ponies, transport, dolls, wild animals or dinosaurs… and letters and numbers. Young players will flex their memory muscle with this adorable app. Please help support iPadKids by downloading the game via the App Store icon below!